Someone answer that please. Because I have no idea where time has gone and all of a sudden my birthday is next week and I turn 25. Like.. what? I need to finalize my 30 before 30 list, even though that can definitely be edited and changed over years. You know what it doesn’t feel like? Fall. It’s depressing. It’s mid-October and it’s still 80+ degrees during the day. There are no leaves changing (though I should find “my” street from last year and see if they’ve started yet) and it’s still a little too hot to comfortably run our oven without having the air on as well (or hiding in the other room in case the fuse breaks and I can’t have both going at the same time). I want it to be fall so bad that some friends and I are going to Big Bear to celebrate my birthday because I just want to be around real trees, lakes, fall weather, hot tubs, wine, and food. And cake. Always cake. Because we’re going to be staying in a house (airbnb is so cool), I want to cook some of our meals in the house. That also involves prepping things and I have pumpkin cream cheese muffins and pumpkin granola in mind.. As well as cake, though I don’t know what kind of cake I want to make for my birthday yet. 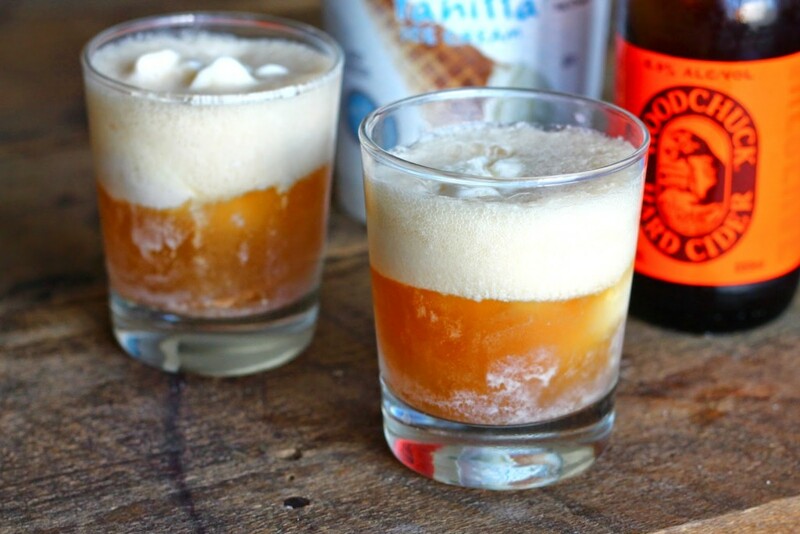 Anyway, to kick off fall in a way that’s appropriate in 80 degree weather, I made boozy floats. 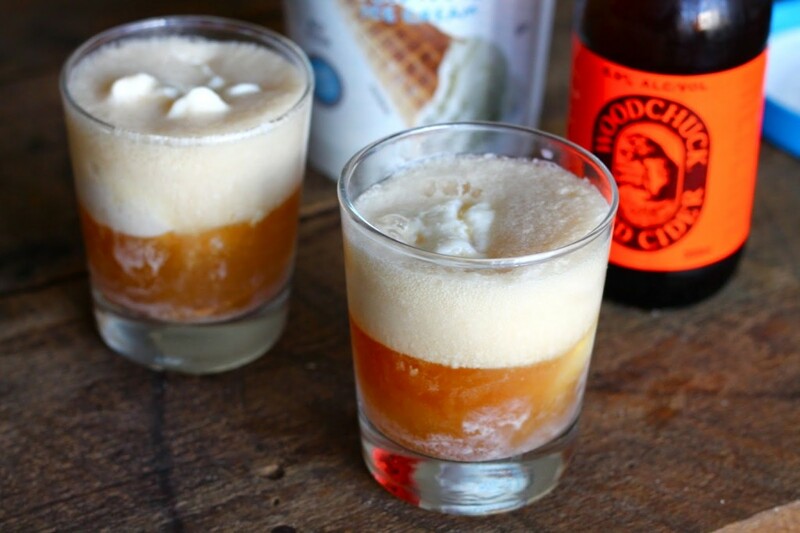 You only need 2 ingredients – pumpkin cider and vanilla ice cream. 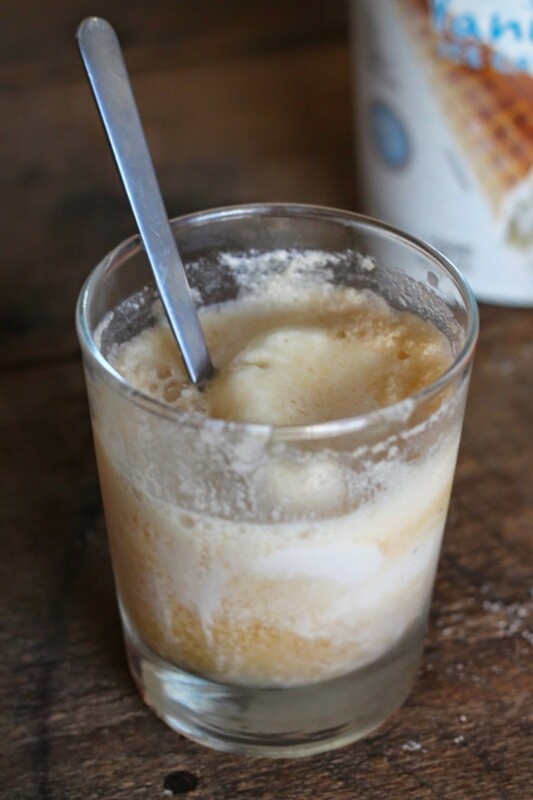 A grownup AND seasonally appropriate way to enjoy a root beer float! I used Woodchuck Cider which I first learned of 2 years ago. Confession: Last year, I got an alert when they started selling it in stores. Another confession: I still had 3 bottles leftover from last year and they’re still delicious. Don’t judge. 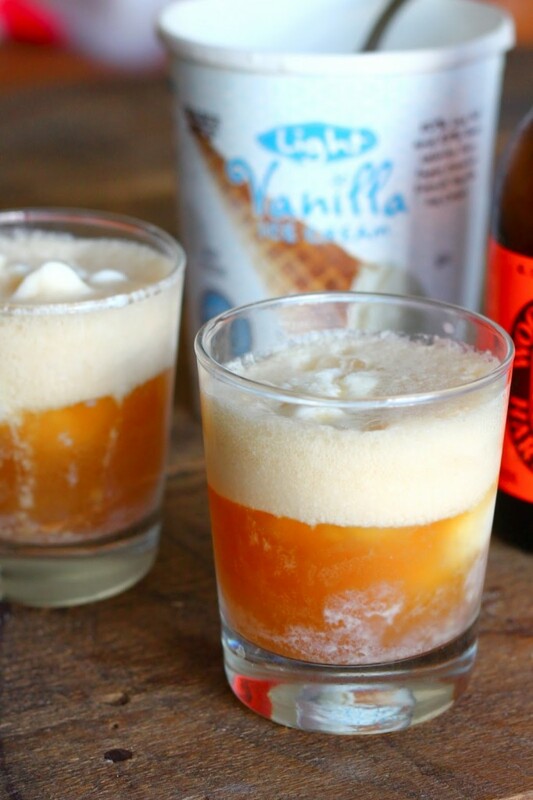 If it’s too warm for fall where you are, or even if it’s chilly (because I totally eat more ice cream in winter than in summer), I suggest you try out these floats and enjoy an acceptable boozy snack. 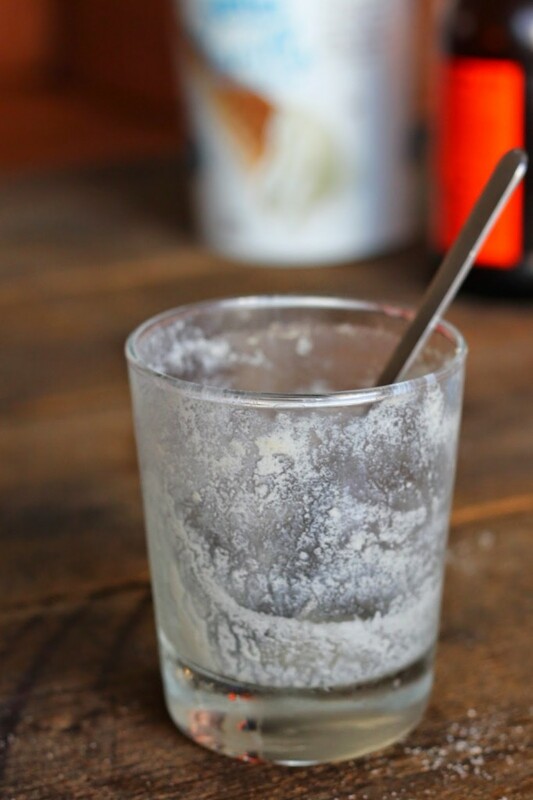 Scoop ice cream into two glasses. 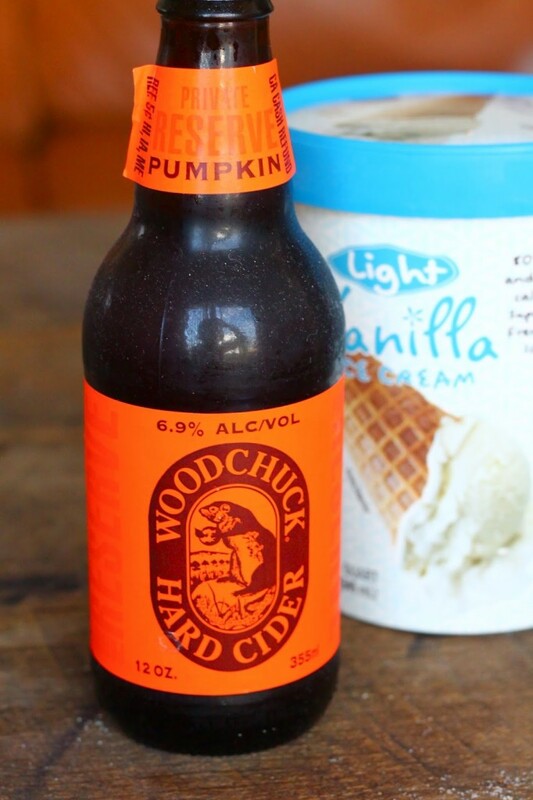 Pour cider over ice cream. Enjoy!